Click "Sponsor Now" to add Luka Hamisi Moi's Bridge Kenya to your order. Sponsor Luka Hamisi. Sponsorship provides these indigenous missionaries much needed funds to continue the work the Lord Jesus has called them to do. Please partner with Luka today. 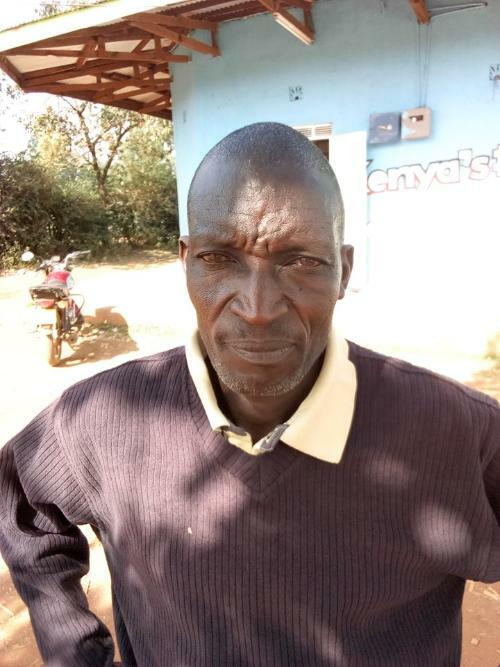 Brother Luka Hamisi is 58 years old and is married to Mary. They are blessed with 4 children, 2 sons and 2 daughters. He came out of the Salvation Army Church about one and a half years ago after we preached to him about the fallacy of denominations and their man-made doctrines, praise God! He is a good trusted brother and coming up as a serious evangelist and is an elder in our Working Faith Fellowship, Moi's Bridge, Kenya.